The AQ’s bidirectional data communication system automatically tracks the public transportation payment history along with its location information when mobile phone is tagged. 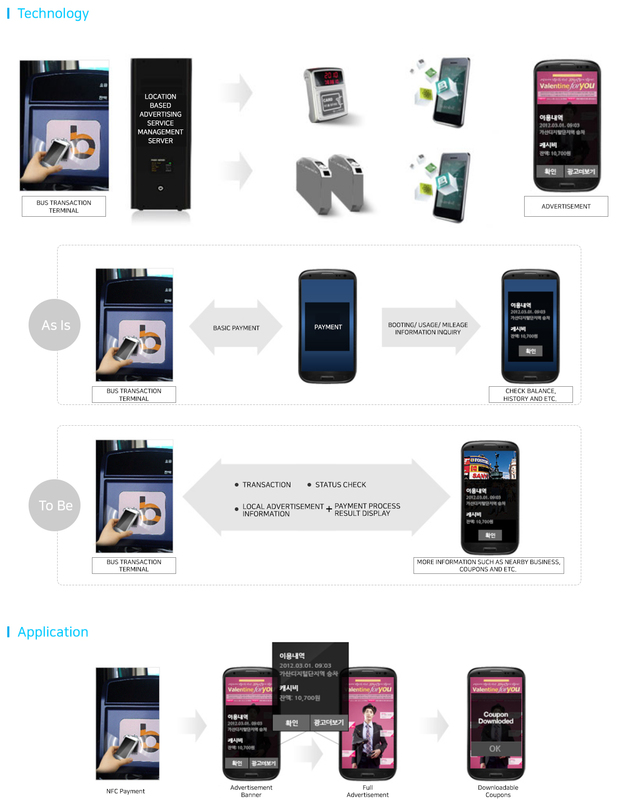 This will allow NFC Ad system to send nearby business information (events, shops, coupons and etc.) and exit/transfer information to public transportation passengers. For bus users, we provide convenience information (exhibition, local vendors, coupons, tickets and etc. ), intelligent departure alarm, transit information alarm and local information alarm service.